This is the third in a series of posts based on interviews with people and companies which are passionate about Mexican food. If you are interested in learning to cook authentic Mexican dishes Enrique Chavelas owner of Cookin Vallarta in Puerto Vallarta is your guy. Cookin Vallarta is active on social media and I had been following them for a while. I reached out to Enrique after reading his Tripadvisor reviews. I knew I had to interview him for the blog. The reviews for Cookin Vallarta on Tripadvsior are off the charts. Out of 341 reviews, 323 are 5 stars and 11 are four stars. It’s nearly impossible to get higher scores than that. Proof that Enrique has the passion. Cookin Vallarta combines two of Enrique’s passions, cooking and sharing his culture. Before starting his cooking school he owned a catering business and also worked in the tourism industry. 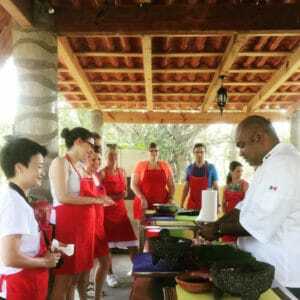 His classes incorporate both the technical aspects of cooking Mexican dishes and also include cultural lessons. Mexico has a very strong food culture. Enrique shares the history of the dishes and their importance. Students cook a new menu every day and everything is prepared from scratch. Everyone participates in the preparation. Some of his favorite dishes to cook are different moles, green, poblano and amarillo. Moles are elaborate sauces prepared many different ingredients. Mole poblano is the best known. It is the one prepared with chocolate. There is a good chance that you will be learning one of his family’s special recipes. 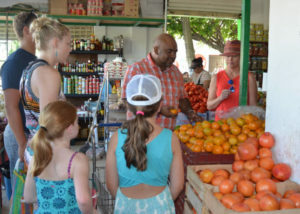 Each class includes a market tour so that participants can experience how locals shop and learn how to choose the best ingredients. A trip to a Mexican market is a far more personal experience than visiting a large modern grocery store. Invariably, you end up talking to the owner or one of the clerks about the day’s events and what is especially good. Menus can be adapted to specific for specific dietary restrictions, food allergies or preferences. If you are vegan or vegetarian there are an infinite number of Mexican dishes to cook. People have the misconception that all Mexican food is loaded with lard and smothered in cheese and cream. Enrique will show you how to cook Mexican food perfectly suited to your needs and tastes. Enrique loves teaching young people and all of his classes are family friendly. He really gets a kick out of getting picky young eaters to try new foods they would have never tried at home. One of his young clients has returned 4 years in a row and insists that all of the family, including mom and dad, brothers and sisters, cousins and aunts and uncles participate. She is now planning to be a chef one day. Acapulco is Enrique’s hometown and he grew up around food and restaurants. His parents owned a restaurant in Acapulco when he spent much time. Family meals were important. Food was to be respected and enjoyed and everyone sat down at the table together. His grandmother always told him that tamales have a personality. You have to be in a good mood for them to turn out well. They know your moods and respond accordingly. 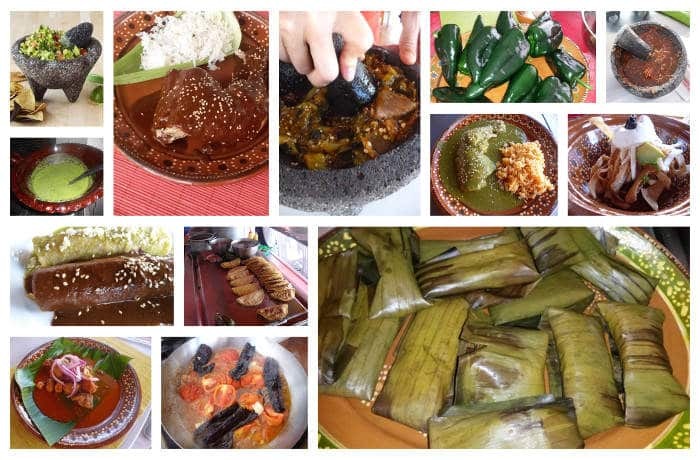 Enrique is most proud that his business now supports 7 families and has grown to include Juan More Taco Food Tours in Puerto Vallarta, Cabo San Lucas and Playa del Carmen. His business operates as a cooperative where he handles the marketing and other talented cooks and guides provide the classes and tours. 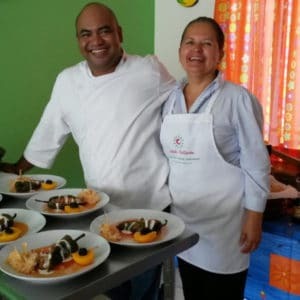 Enrique and Cookin Vallarta have been featured on Super Chef’s of the Universe, Prudence Sloane’s Cooking School on Better Connecticut, AFAR, and Travel Basecamp. If you are planning a trip to Puerto Vallarta be sure to book a class with Enrique. I have two guest in Westin who would like to assist at your cooking class.